I stand by the plot as far today’s announcement that Pioneer is remaking the Technics 1200. This is a straight-up remake, bearing no real direct relevance to the rest of Pioneer’s offerings other than name. But as with the KORG MS-20 or the Moog Keith Emerson Modular, just reissuing something from the past already adds a subplot. The “lack of parts” question is still a mystery. It’s possible that Pioneer is making this turntable in limited quantities. It’s also possible (and I’d guess more likely) that they simply chose parts that are easier to source, or that this issue was overstated in that announcement. While digital has grown, it has turned out to be something other than replacing one thing with another. The motivation for my snark this morning, though, is that this also means you might want to improve, not only remake. The obvious difference between Pioneer and Technics is cosmetic: black instead of silver, blue light instead of red, (welcome) removable cables missing on the early revisions of the 1200/1210. But the real difference is about 4 lbs (1.8kg). There’s an insulated tone arm – the effort apparently to reduce a “howling” effect you can sometimes get on the 1200s. There’s also a heavier die (that’s the “heavy-mass zinc” mention), plus 9 mm of vibration-damping material in the base. The plan here: make the turntables more resistant to vibrations. The 1200s aren’t perfect turntables, and because a great many people are using digital vinyl, they’re being asked to do more than ever before. Reducing resonance and vibrations could help digital vinyl systems to perform better. DJ Tech Tools complained today about not getting digital outputs (and DJTT had predicted this kind of feature when the turntable was first released, whereas I was one of many predicting a clone). But the control vinyl itself is an analog system, subject to sound quality and shakes. Fixing that could make this a better turntable for those systems. Also, on the output, they mention “gold-plated machine-cut parts for low impedance” on the RCA (cinch/phono) output jacks – and there’s no ground cable, interestingly. That bit seems to be about making this easier to connect in a variety of situations without sound quality issues. These couple of kilograms of changes might not actually help. And it’s possible they’ve made the sound quality or reliability worse. We just won’t know until we see the real thing. But I think this will merit further testing by devout turntablists. And the Pioneer unit is the latest in an overwhelming wave of evidence that says that analogy technology – even down to the parts to make stuff – is far from obsolete. So the rest of Panasonic’s business may well have transformed from digital to analog. But in music, the picture isn’t quite so linear. Thank you to the wonderful DJ Esther Duijn for pointing out that these changes will in fact matter to someone. I have to admit, I know loads of people using Technics but not other OEM turntables, so I’m curious to hear from that crowd, too. Also worth some investigative journalism: Pioneer and Matsushita – now simply going by its better-known former brand Panasonic – are both Japanese companies. They’re also both in the automative business, so at least as competitors, there’s a relationship. The question in this case is, how much of the tooling, knowhow, and engineers from the 1200 made their way to Pioneer. The Technics name was sold off, and it seems Panasonic never got interested in re-entering the business. 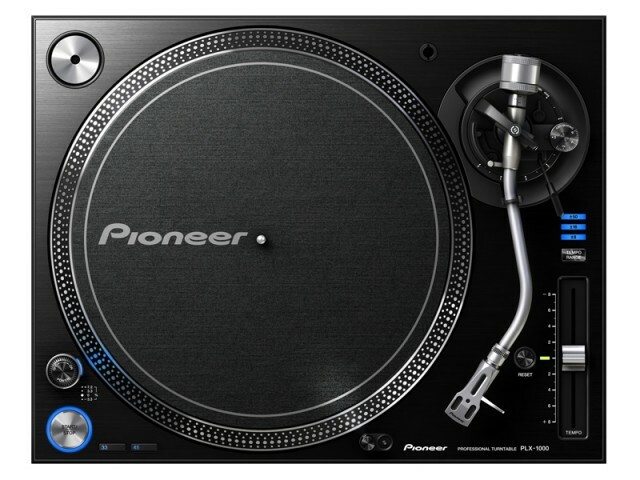 But “Pioneer” is about the only brand name other than Technics that could live up to the 1200, at least in DJ recognition. It’ll be interesting to learn what actually happened here. I like to fantasize that some 1200 veteran worked on this … like a new revision of the original, as much as re-release.